All the arrested persons hail from Sattari village under English Bazar police station of Malda district of West Bengal. 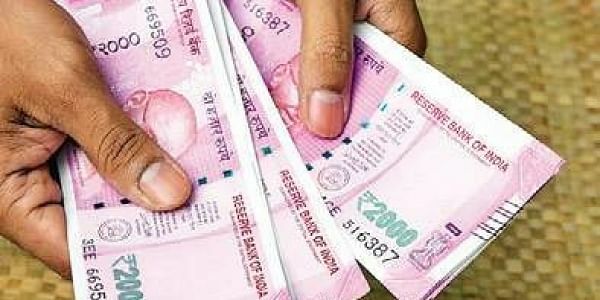 NEW DELHI: The National Investigation Agency (NIA) has arrested four persons from the vicinity of Howrah railway station in Kolkata for possession of fake Indian currency with a face value of Rs 9.1 lakh. The four arrested accused persons include Barkat Ansari, Utpal Chowdhur, Fijul Mia and Rabjul Mia. All the arrested persons hail from Sattari village under English Bazar police station of Malda district of West Bengal. “On November 14, 2017, the NIA, Kolkata Branch, received specific source information regarding certain individuals in possession of fake Indian currency notes (FICN) with the intention of handing over to certain persons for pushing into monetary system as genuine Indian currency. A team of NIA officers was immediately tasked to carry out this operation. Late into the night, the team seized FICN having face value of Rs 9.1 lakh (in the denomination of Rs 2000) from the vicinity of Howrah Railway Station, Kolkata, from four persons, who were apprehended,” NIA Inspector General and spokesperson Alok Mittal said in a statement. Subsequently, the NIA team approached the Golabari Police Station of Howrah district and lodged a complaint in connection with the arrests and the recoveries. The NIA also produced the seized items and the persons apprehended to the local police.